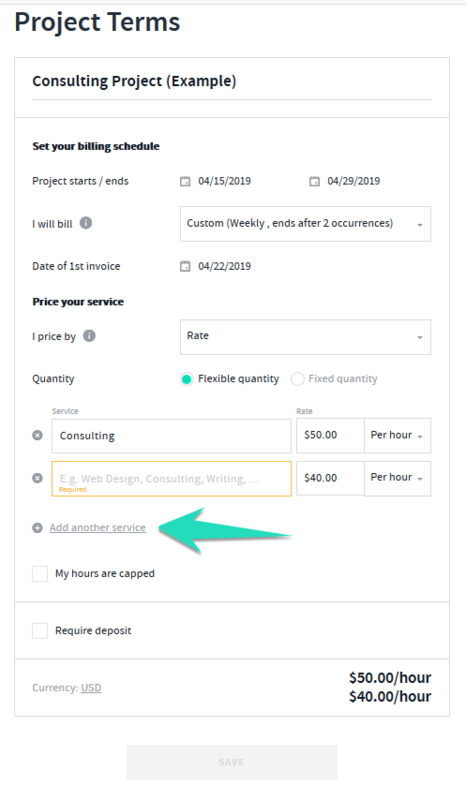 With AND CO you can create and manage your projects, set your deliverables and billable rates/services, select to require a deposit, track time, invoice for payment and even archive them so you can keep track of all active/archive projects. 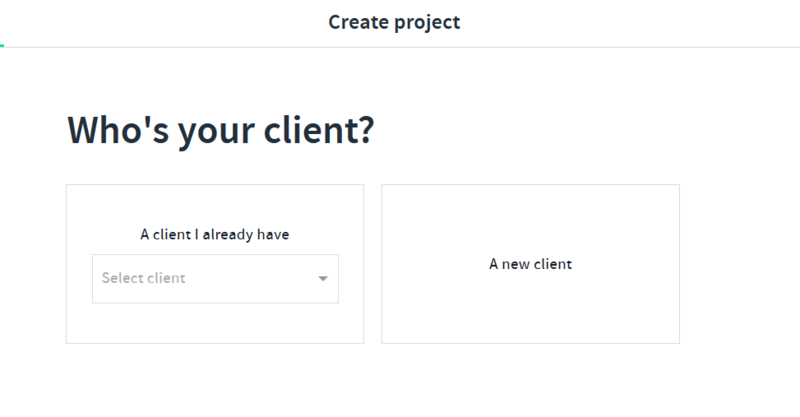 Once you have selected to create a project you will be prompted to select from a existing client or enter in new client details. Once you have selected/created your client you will be prompted to select and enter in your "Project Terms"
Project terms are your deliverable's/services which have been agreed upon. 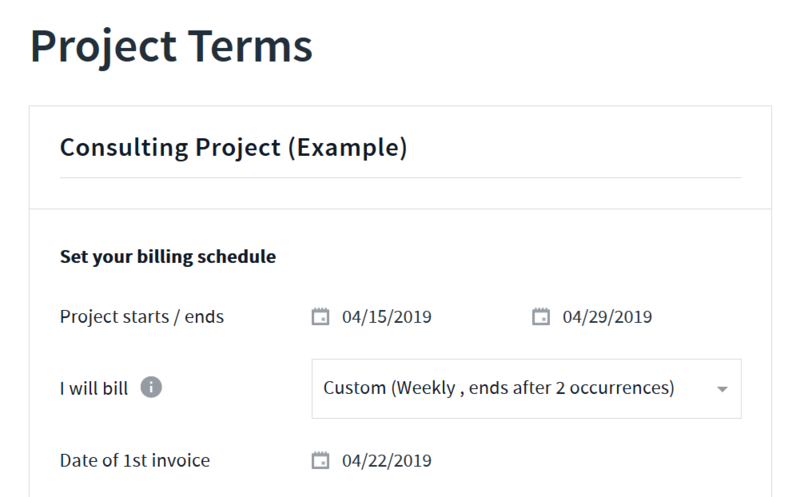 These terms will be billable/invoiced to your client throughout the project from start to end. 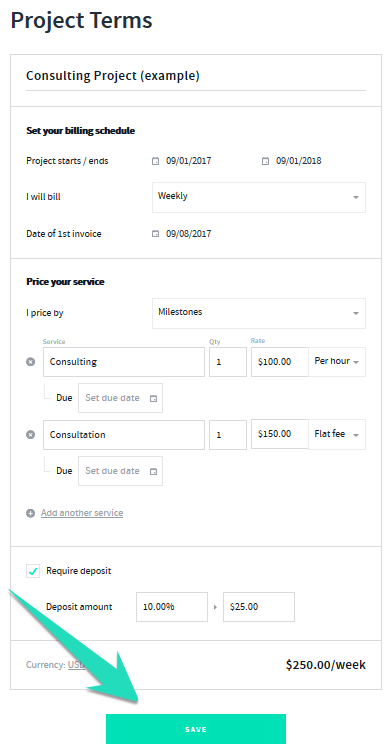 How you will bill your client where you can select from the drop down menu from options such as > once, weekly, monthly, milestones, custom. Date you will send your first invoice. 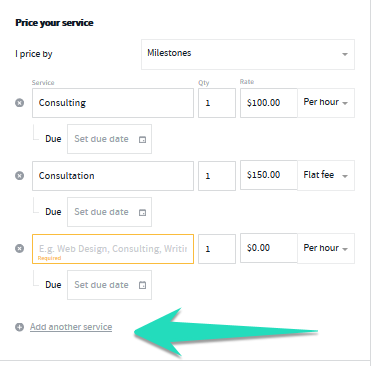 Next you will be prompted to "Price your service/s" this is where you will set up your deliverables/services/rates. 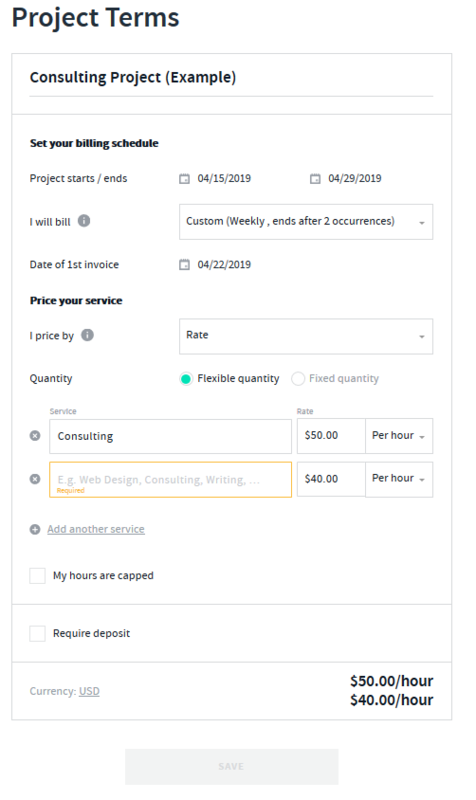 Rate - this options allows you to invoice time tracked using a "flexible quantity" which allows you to add time activities onto your invoices or "fixed quantity" which allows you to set and enter in a fixed quantity of hours instead. 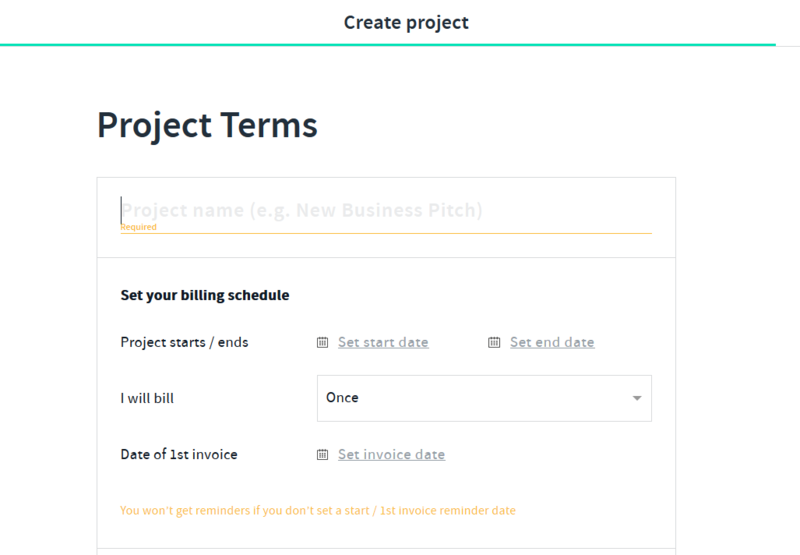 Milestones - this option allows you to set milestone billing terms for different stages throughout your project. 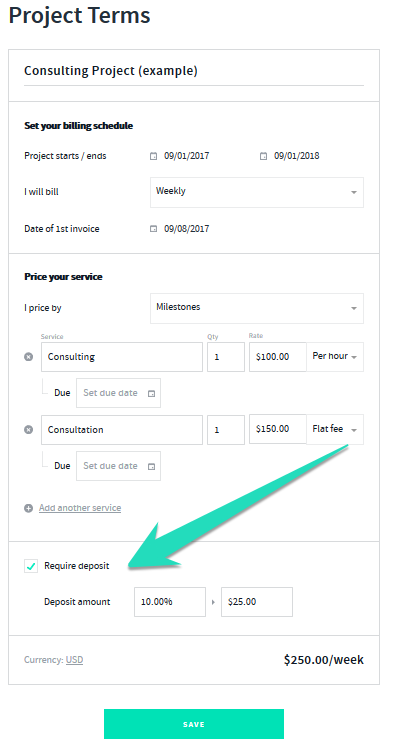 You can also set different options for each rate/service for example, you can set up flat fee terms along with hourly/monthly terms. Please keep in mind you can only select one option and you can add multiple terms within this option. Should you require a upfront deposit payment select the option to > require a deposit and enter in the details of the deposit amount required. See more here on How to Charge For A Deposit! 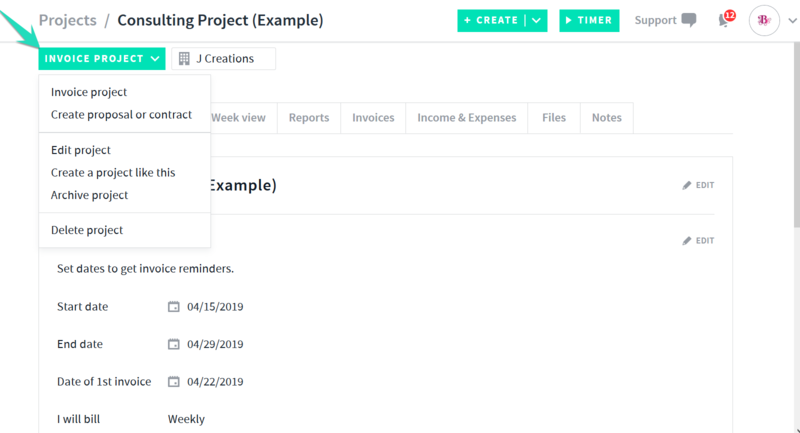 Once you have set up the project terms for your project you are all set select the green "create" button to create your project. You can now view your project via the projects tab in the app. Archive Project - Archives the project so you can refer to it at a later date via the archived project folder at any time. Delete Project - Deletes the project entirely and you cannot retrieve it.